Do you recognise any of the lifted tools? Thames Valley Police will hold a public meeting to address the recent uptick in the theft of tools from vans in the Buckingham area. The police ask that, if you are a victim of this sort of crime or want to know more about what the police are doing to help, you join the discussion at Buckingham Library, Verney Close, on Thursday February 15 at 7pm. Inspector James Davies said “This has been an impactive issue for the residents of Buckingham and District area and it is right that we address the issue and feedback to the community about recent related arrests”. Last week, Thames Valley Police uncovered a trove of stolen tools, at locations in Aylesbury on February 2 and Milton Keynes on February 3. Five people, including four men aged between 21 and 38 a 16-year old boy, have now been arrested on suspicion of handling stolen goods. One of them has also been arrested on suspicion of theft by finding. Superintendent Tim Metcalfe, LPA commander for Aylesbury said: “The theft of tools is a serious and organised form of criminality that is on the increase. It impacts on the ability of honest tradespeople to work and, as a consequence, can undermine the reputation of individuals and businesses. “The seizure of stolen tools over the weekend presents an opportunity to bring those responsible to justice and return the items to their rightful owners. This will be made significantly easier in cases where the tools have been marked. “We believe that a yellow van may be connected to these incidents and ask storage container businesses and members of the public to remain vigilant. If you have any information please call 101 quoting reference 43180036066." There are a few simple security measures you can take to help reduce your risk of theft and increase the chance of being reunited with your belongings including property marking and registering your property for free on the national property register Immobilise. 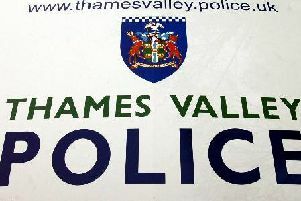 Visit the Thames Valley Police website for more information on how to keep your property safe.